Image sublimated to a slate sheet machined for display. 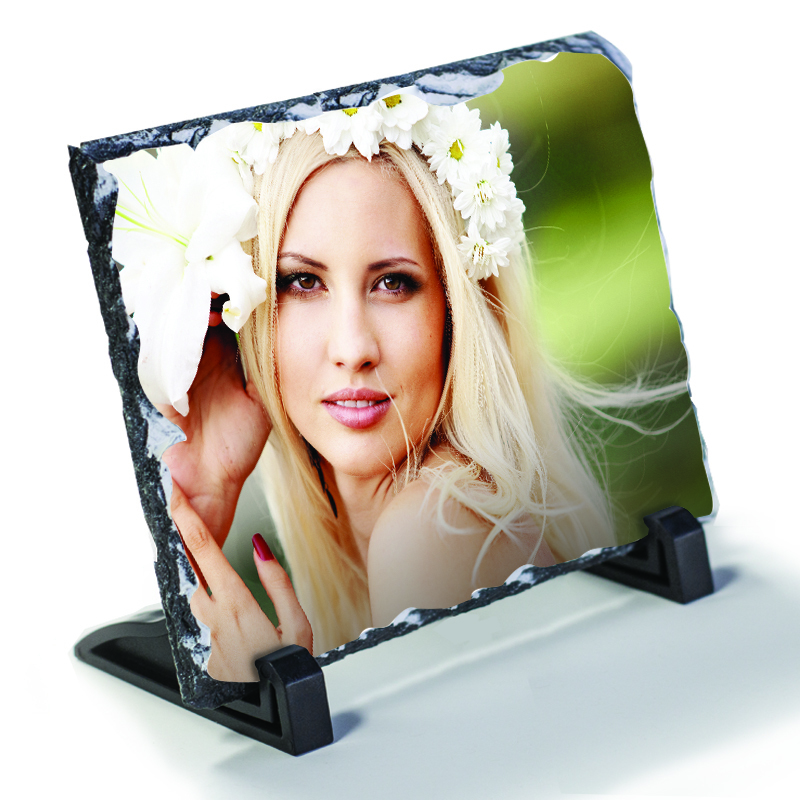 Your artwork or photo sublimated/infused to the surface of a slate rock machined and sized for easy display on any shelf, desk or table top.. Your finished print will show incredible detail and color. Each stone has their own unique chiseled edges so not two are exactly alike. They are not only scratch resistant but durable. Your stone slate also includes a set of table top stands. Recommended Image Dimensions: 5.85 x 5.85"
Self standing smooth, machined 3/8" sublimatable slate, each with unique fractured edges. Recommended Image Dimensions: 7.8 x 7.8"
Recommended Image Dimensions: 7.5 x 5.5"
Recommended Image Dimensions: 11.7 x 7.8"
Recommended Image Dimensions: 4.68 x 8.58"
Recommended Image Dimensions: 11.7 x 5.24"
Recommended Image Dimensions: 5.7 x 5.7"
Recommended Image Dimensions: 14 x 10.53"
Recommended Image Dimensions: 11.7 x 11.7"